Custom pizza crusts are a sure way to surprise and delight patrons, but the effort it takes to perfect signature recipes and mixing the dough onsite could strain your business. Working with a manufacturer eases back-of-house concerns and helps you diversify your menu. Ready to discover how to make custom crusts in the most time- and cost-efficient way possible? 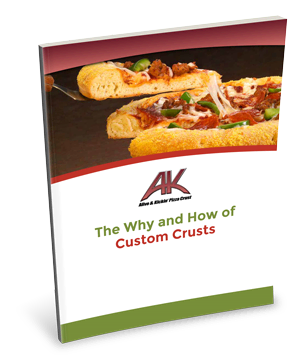 Download your free copy of the Why and How of Custom Crusts by completing the form.